We see it all the time in the movies. An employer at odds with a worker shouts out ‘You’re Fired’, the employee gathers their things, leaves the building and that’s the end of it. What you don’t see is the work the HR department then has to go through determining pay in lieu of notice, severance package and a possible wrongful dismissal suit. 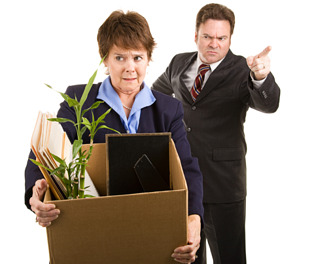 In the U.S. many employment relationships are considered to be ‘at will’ or, in other words, can be terminated by either party without cause or notice without the worry of retribution. In Canada no such relationship exists so hiring a Canadian employee can be much more complicated. Canadian law states that an employer can terminate an employee without cause but they are required to provide ‘reasonable notice’ or compensation in lieu of this notice. Minimum requirements for ‘reasonable notice’ vary from province to province and will depend on the tenure of the employee. If an employee has been with the company for less than three months the issue of termination is less complicated so often Canadian companies will refer to this as the “probationary period” and assess the employees ‘fit’ and ‘competence’ for the position before the three months end. When terminating a Canadian employee without notice or pay in lieu, there must be evidence of ‘Just Cause’. Just cause can be used for certain serious acts such as theft or harassment or employees can be fired as a result of a series of minor incidents. For the latter dismissal, the employer must document that they followed a progressive discipline policy of increasing severity. A solid employment agreement is essential when it comes to outlining notice and probationary periods as well as other regulations when it comes to employment standards in Canada. An essential step to take before engaging with an employee in the great white north is to consult a company in the know, preferably one well versed in Canadian employment law. The Payroll Edge is a Canadian based Professional Employment Organization (PEO) or Employer of Record (EOR) as it’s called in Canada. 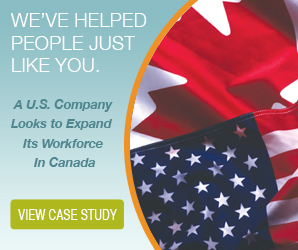 We take on the responsibility of employment compliance when it comes to hiring north of the border so you can focus on expanding your business presence in Canada rather than learning a whole new set of rules and regulations. Contact us today for more information on how we can help you! Canadian payroll providers take note; the minimum wage in Alberta increases as of September 1st. a monthly minimum wage of $1,854 ($1,893 effective September 1, 2013) for domestic employees. However, certain categories of employees are exempt from the minimum wage requirement in the Regulation. When businesses encounter busy seasons or need temporary help while employees are out for illnesses or maternity leave, they often hire workers from temp agencies. This can be a very effective way to handle a fluctuating work force. The permanent employees don't have to work overtime, and the manager doesn't have to go through the arduous process of hiring a new employee when the position may not last long. But who is responsible for ensuring temporary workers are properly trained for the jobs they are being hired to do, and that they have been properly briefed on all applicable Occupational Health and Safety Act requirements? To believe it is the sole responsibility of the temp agency can be a big, and expensive, mistake, as a recent case brings to light. The case in point concerns a waste management firm that hired a temp worker through a temporary staffing agency to perform garbage collection services. While performing his work, the temp exited the garbage collection truck prematurely and the truck ran over his foot, causing injury. While the waste management firm had safety policies and procedures in place, the Ministry of Labour convicted the firm for failing to train the temporary worker on those procedures of theirs. The conviction was followed by a $150,000 fine and a 25-per-cent victim surcharge, sending a warning to employers about the importance of training temps. Who is Responsible for Training Temporary Staff? 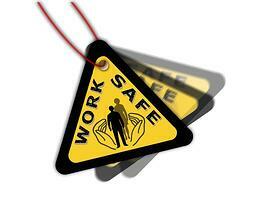 Under Ontario's Occupational Health and Safety Act, employers are required to protect workers in the workplace. This includes not only an employer's own workers but also temporary, contract, or other on-site workers. 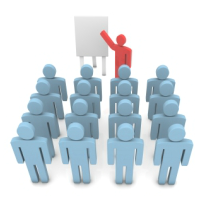 Temporary personnel agencies often advertise that they'll train workers ahead of time so they can show up at your business ready to work. This is especially appealing to employers who are very busy and don't have time to train and re-train temps each time a new person arrives. But the message is clear - even if temps are offered training through their temp agencies, companies are still responsible to ensure that they're properly trained once they arrive on site for their work shifts. Partnering with a temp agency that is committed to health and safety and understands the intricacies of government compliance will help to mitigate your companies risk when engaging in this type of workforce. Temp Agencies who partner with The Staffing Edge have this type of expert support giving their clients peace of mind that proper processes and procedures are in place. But as the worksite you need to ensure your own due diligence as well. If you don't have the time or legal expertise to put together comprehensive training programs for your business, you can outsource employee training and development to a human resources management company like The Payroll Edge. By partnering with an outsourced human resources management company, you can soon have a training program that covers health and safety fundamentals, emergency preparedness, workplace violence and harassment, provisions for AODA (Accessibility for Ontarians with Disabilities Act), workplace inspections, and hazard identification. In addition, your business can have customized OHSP manuals and policies, which keep your business up-to-date with all the most recent legislative changes and training requirements. Comprehensive on-going training for both your permanent and temporary staff not only elevates the work environment, it can protect your business from fines and legal action. Summer is a wonderful time of year as we put away our coats and grab our flip flops however, as the temperature rises, so do the incidences of heat related claims that our payroll clients report to our Risk Management department. When heat is combined with other stresses such as hard physical work, fluid loss, fatigue or some medical conditions, it could lead to serious consequences for the employee. Heat stress can happen to anybody, regardless of fitness level or age. The hotter or more humid the environment, the harder the body must work to get rid of its excess heat. When humidity is high, sweat does not evaporate as quickly and has little cooling effect. Headache, heavy sweating, intense thirst, dizziness, fatigue, loss of coordination, nausea, impaired judgment, loss of appetite, hyperventilation, tingling in hands or feet, anxiety, cool moist skin, weak and rapid pulse (120-200), and low to normal blood pressure. Caution workers to avoid direct sunlight when outdoors. Provide cool drinking water near workers & remind them to drink a cup every 20 minutes or so. Assign extra workers or slow down the work pace. Advise them to wear light summer clothing (where suitable) to allow air flow. Vapour barrier clothing significantly increases the amount of heat stress on the body. Educate workers on how to recognize the signs and symptoms of heat related conditions. Start a buddy system, as people are not likely to notice their own symptoms. Provide air-conditioned rest areas if possible. Schedule hot jobs during the coolest part of the day. Increase air movement by providing fans. Reduce the physical demands of work tasks with mechanical devices. Increase the frequency and length of rest and water breaks for workers to hydrate. Preventing heat related incidences in the workplace is an employer's responsibility. This includes understanding not only the causes and symptoms of heat stress but how to put preventative measures in place to ensure the health and safety of your workforce. If you are unsure of these processes and procedures that need to be in place to prevent heat stress, The Risk Management department of The Payroll Edge can help. 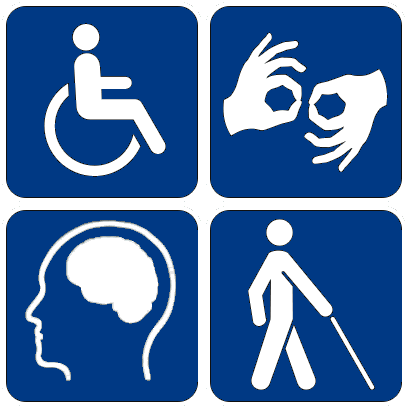 Are You Ready for Round 2 of the AODA Requirements? Round 1 was the implementation of the Customer Service Standard piece of the 5 key areas of the Act and companies were expected to file compliance reports in regards to their Accessibility Standards for Customer Service on or before December 31, 2012. The IAS (Integrated Accessibility Standards) is the next step and refers to the remaining 4 key areas as laid out in the AODA as well as certain general obligations regarding accessibility policies and plans and further employee training. Large private sector employers (over 50 employees) will need to comply by January 1, 2014 and smaller companies of up to 49 employees will need to comply by January 1, 2015. Must make information on accessibility equipment and features of their vehicles, routes and services available to the public. Cannot charge a fare to a support person when the person with a disability requires a support person to accompany them on the conventional or specialized transportation service. Providing clearly marked courtesy seating for people with disabilities. Not charging people with disabilities a higher fare than people without disabilities, and not charging for storing mobility aids or mobility assistive devices, such as wheelchairs or walkers. Technical requirements for lifting devices, steps, grab bars/handrails, floor surfaces, lighting, signage, etc. Providing verbal and visual announcements of routes and stops on vehicles. Developing an eligibility application process including an independent appeal process. Charging fares that are no higher than the fares charged for conventional transit where they are both operated by the same service provider. Providing the same hours and days of service as those offered by conventional transit where they are both operated by the same service provider. The above are only a few of the requirements for the Transportation Standard. Provide accessible formats and communications supports as quickly as possible and at no additional cost when a person with a disability asks for them. Make feedback processes accessible by providing accessible formats and communications supports when requested. Make public emergency information accessible when requested. Provide educational and training resources and materials in accessible formats upon request. Provide educators with accessibility awareness training related to accessible program or course delivery. Provide educational or training institutions with accessible or conversion ready textbooks and supplementary resources upon request. Libraries of education and training institutions must make resources accessible upon request. Public libraries must provide access to or arrange access to accessible materials where they exist. The Accessibility Standards for the Built Environment focus on removing barriers in public spaces and public buildings themselves. Enhancements to accessibility in buildings will happen at a later date through Ontario’s Building Code, which governs new construction and renovations in buildings. The standard for the design of public spaces only applies to new construction and major changes to existing features. Outdoor public eating areas like rest stops or picnic areas. Outdoor play spaces, like playgrounds in provincial parks and local communities. Outdoor paths of travel, like sidewalks, ramps, stairs, curb ramps, rest areas and accessible pedestrian signals. Accessible parking (on and off street). Service-related elements like service counters, fixed queuing lines and waiting areas. Maintenance and restoration of public spaces. The Accessibility Standard for Employment will help Ontario businesses and organizations make accessibility a regular part of finding, hiring and supporting employees with disabilities. Let job applicants know that recruitment and hiring processes will be modified to accommodate their disabilities, if requested. Build the accessibility needs of employees into their human resources practices. Create a written process (not applicable to small organizations) for developing and documenting individual accommodation plans for employees with disabilities. Help employees stay safe in an emergency by providing them with individualized emergency response information when necessary. These are just a few of the requirements. For a free consultation on how the Accessibility for Ontarians with Disabilities Act affects you, contact The Payroll Edge. 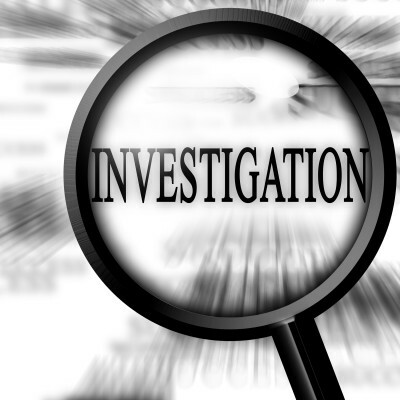 Do You Know How to Perform a Workplace Investigation? What would you do if an employee reported harrassment or violence in the workplace? Do you know the correct action to take to ensure that you have not only met the employees rights to a safe and respectful workplace environment, but have met investigative compliance in the eyes of the government? The law mandates that an employer conduct a thorough investigation that is fair to all parties regardless of who issued the compliant, and that the investigation is completely documented. This article recently seen on Lexology.com gives insight on the imperativeness of proper workplace investigations. "The courts have come down hard on employers who take shortcuts and botch their investigations through both sins of omission and commission." In one recent case, the British Columbia Supreme Court upbraided the Liquor Distribution Branch for the unfairness of its investigation against a 30 year store manager with a spotless record who was accused of abuse of staff. Among the many flaws: the Labour Relations Officer in charge of the investigation was biased and had a conflict of interest; the witness list was skewed; the interview with the accused employee was not accurately recorded; the interviews were akin to interrogations; any employee who spoke favourably of the employee was accused of lying; the investigator’s recommendation memo did not give a balanced report of the evidence; and the employer had rushed to judgment. In another Ontario case, Plester v Polyone, the trial judge was unsettled by the destruction of the original investigation notes; the fact that employees were not interviewed separately and the fact that there was little change between the original and final draft of the report. Our Human Resource department at The Payroll Edge can conduct a workplace investigation as a unbiased third party ensuring that, not only the workers needs have been addressed, but the Ministry of Labour is satisfied as well.